Hello Simmers! My name is Izzy! 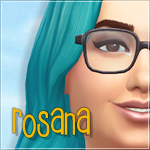 I have a Sims blog on tumblr that nobody follows! And I was hoping maybe some of you would take a peek at it? All I post about is topics on Sims like new Sims games, how to do stuff, interior design inspiration, information about certain neighborhoods and certain Sims, cool Sims stuff, and the things I do in Sims myself. It's just a general Sims fan site. I think it's a really nice blog, and I work really hard on it. If you could look at it, or maybe even follow me that would be AWESOME! Also, if you post your own blogs, I'll look at them and follow you back! You have a nice blog...just followed. You can find me Here (mostly pics from games) and Here (Sims 2 & Sims 3 creations).